MajiVoice enables you to reach your Water Company in whichever of the following ways is most convenient for you. Your message is then automatically submitted to the Water Company for action. By dialing *624# on your mobile phone within Kenya, you will receive a MajiVoice menu that will guide you on how to submit your feedback to your water company. What do you need to know to use this option? – Your account number (if your Feedback/Complaint is related to a water issue in your house or office). – The use of the USSD menu option is ten (10) Kenya Shillings Only. What happens once I submit my feedback or complaint? Once you successfully submit your issue, MajiVoice will send you an SMS with a MajiVoice Ticket Number from your Water Company. The ticket will be passed on to the relevant person in the water company to handle your issue. Why do I get a MajiVoice Ticket Number? The Ticket Number enables you to easily find out the status of the issue as it is being acted upon by your water company. 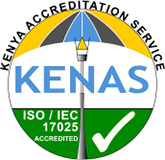 It also enables you and the water company to easily make reference to the particular feedback or complaints in case of subsequent follow-up. You could also choose to send your message to the Water Company by SMS. The SMS feedback service currently costs Five (5) Kenya Shillings Only. Once you send the text message in the above format, you will receive a MajiVoice Ticket Number. If you can access the internet via your mobile phone, then simply go to www.majivoice.com on your mobile web browser. Click on the first link titled ‘Your Feedback/Complaint’ and follow the simple instructions. Once you complete the process, you will automatically receive a MajiVoice Ticket number from your water company to your mobile phone number. Other than the mobile internet connection cost from your network provider, there are no extra charges. On the right hand of the page, you should see a section labeled ‘Submit Complaint / Request’. Fill in the required information and proceed to follow the steps. 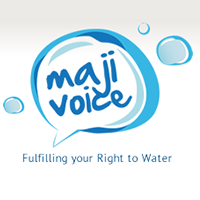 Once you submit the information required, MajiVoice will automatically forward your issue to the relevant water company and send you a Ticket Number.